I love perfume. I wear a bit everyday. I especially love perfume in pretty bottles. 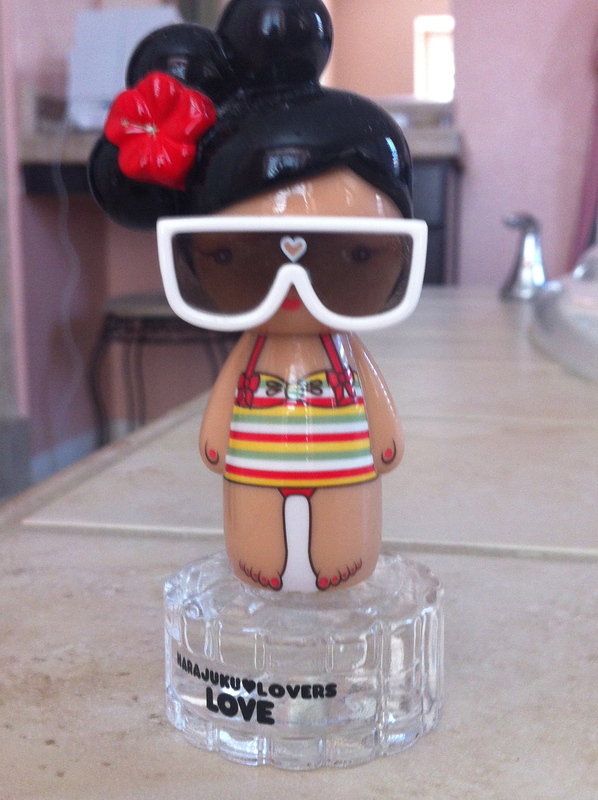 And even more in super cute doll bottles! 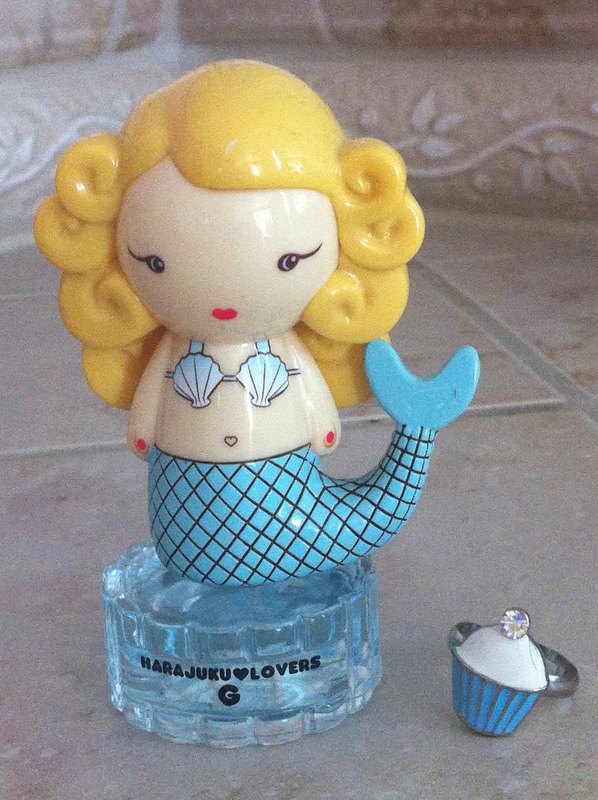 A few years ago my teenage daughter and I were introduced to the world of “Harajuku Lovers Fragrance”. She received a lovely perfume set as a Christmas gift. 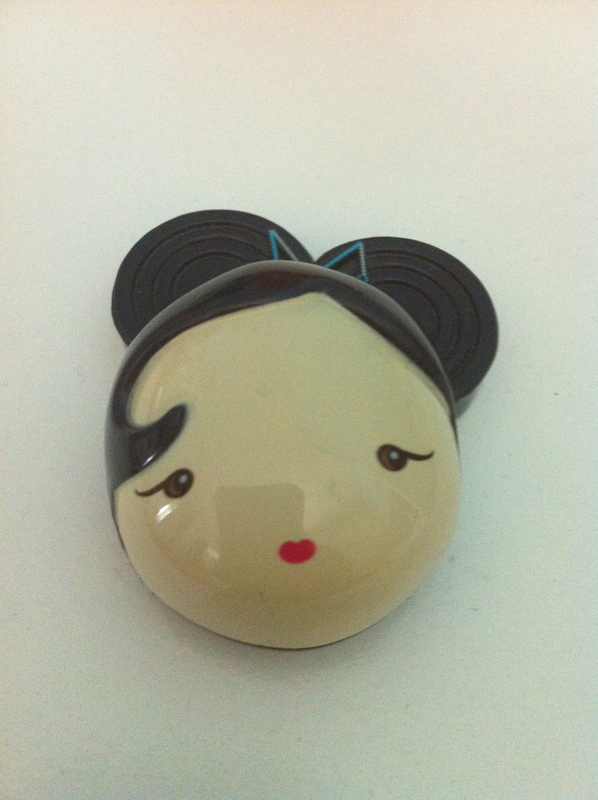 It came with the perfume bottle and a matching solid perfume. We both fell in love with the adorable bottles. The one that started our collection, “MUSIC”. 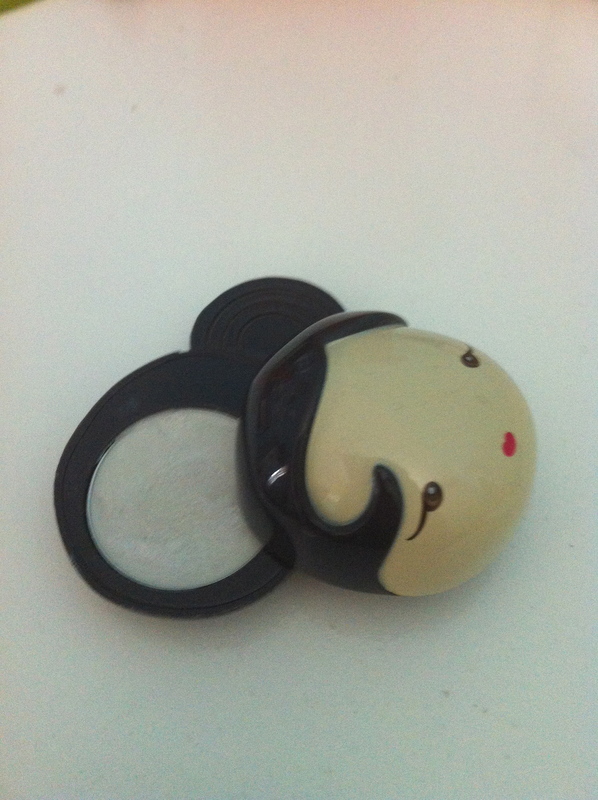 Super cute solid perfume face. The solid perfume slides open. And smells so pretty. 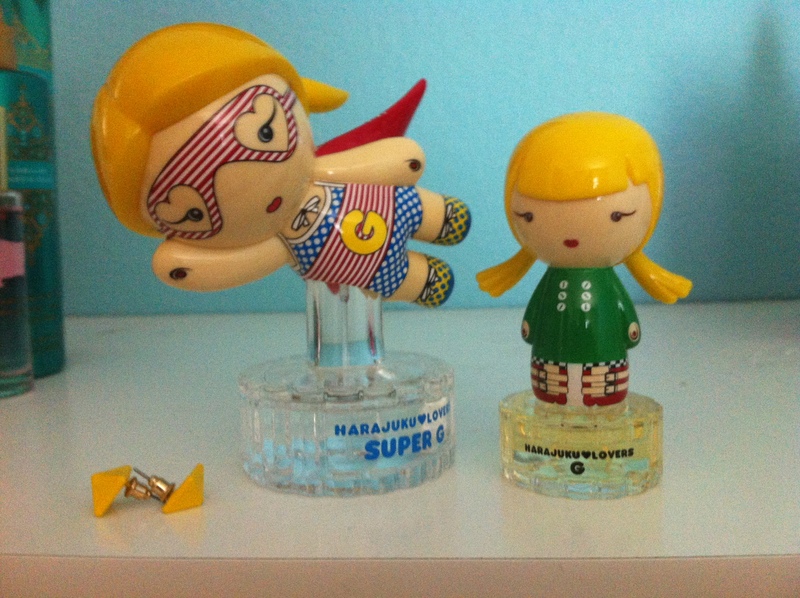 Ever since her first Harajuku perfume my daughter and I have been collecting them. We have an unspoken agreement for us not to each have the same one. The Harajuku Lovers fragrances are part of singer Gwen Stefani’s fashion line of merchandise, inspired by Tokyo’s “Harajuku” street scene. My daughter gave me this one last Christmas. It’s called “Jingle G”, it came with a velvet ribbon to hang as an ornament. 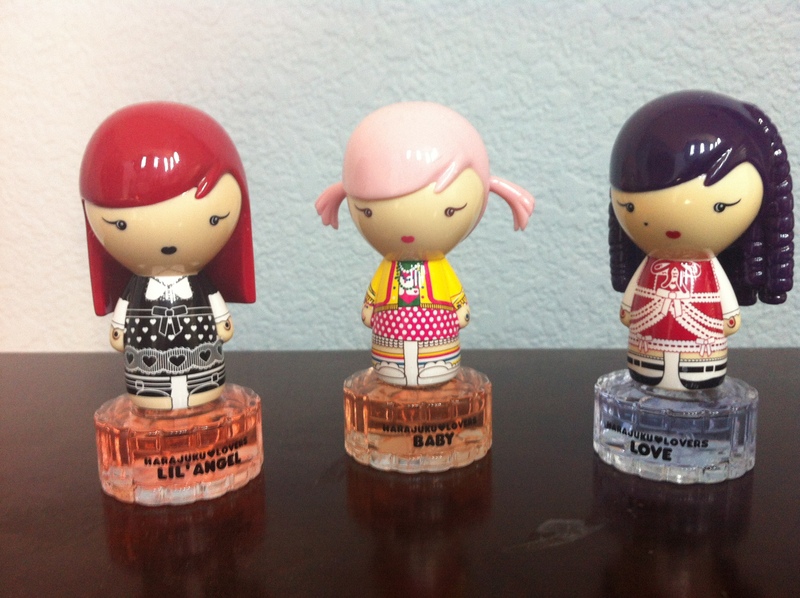 There are 5 different “doll” perfumes with their own name. There is Baby, Music, Love, Lil’ Angel and G.
I like this summer one with her big sunglasses and hibiscus flower in her hair. There is also a line of the Wicked fragrances which have a soft, “velvety” feel to their hair/head. I don’t like them as much and so I haven’t gotten one. I especially love the hair on this African style dolly. These 3 are from the “Wicked” line. I picked them out because of their bold hair color. You can’t tell really well from this pic but their perfume is colored to each girl’s hair color. 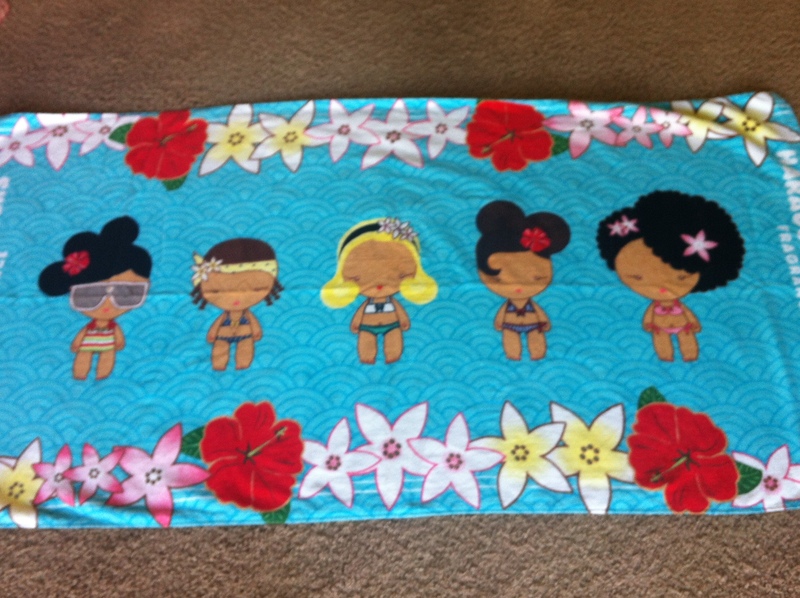 I received this adorable beach towel as a free gift with purchase from Macy’s. Woohoo! Do you have a line of perfume or perfume bottles that you collect and just adore? If you do, I would love to hear about it and see some pics. 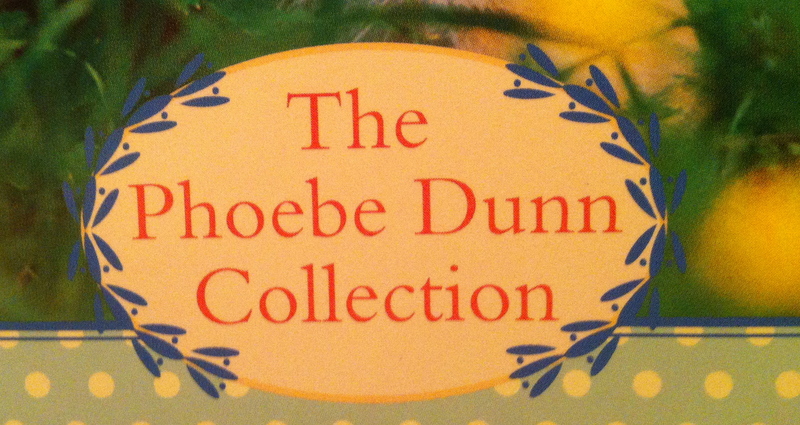 Phoebe Dunn was a world-renowned photographer known especially for her pictures of children and animals. Her timeless images, photographed in natural settings, using natural light, uniquely capture the interactions and relationships between children and their pets. A number of her books have been written by her daughter, Judy Dunn. For more than thirty years, Phoebe Dunn photographed the world as she knew it, capturing the feelings and relationships that make us all human. 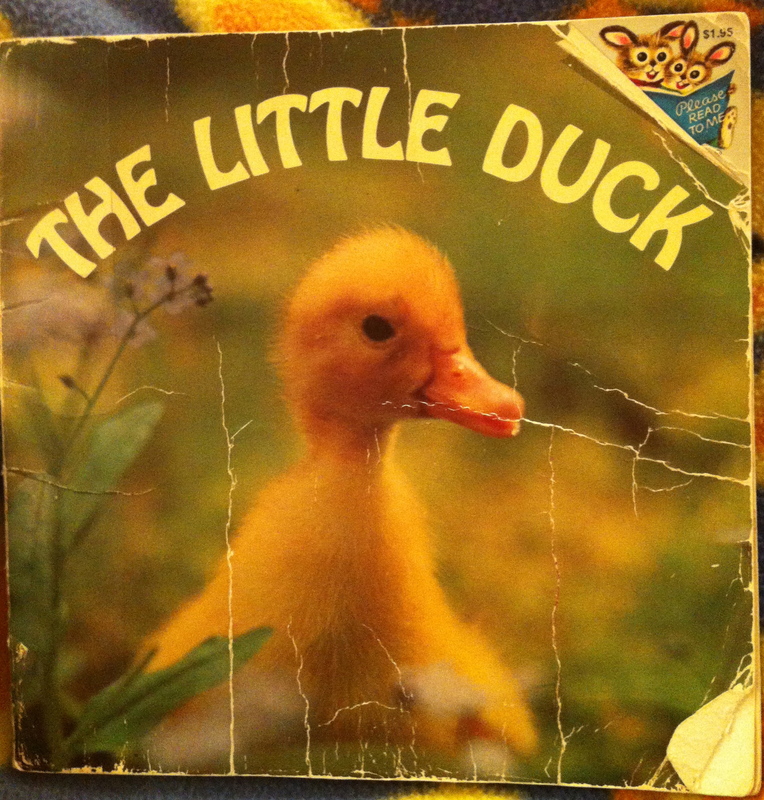 The Little Duck was the first book in the series that I discovered. It was published in 1976. I don’t remember where we got it from but it has been in our home library since my oldest son was a toddler. What a darling book it is. 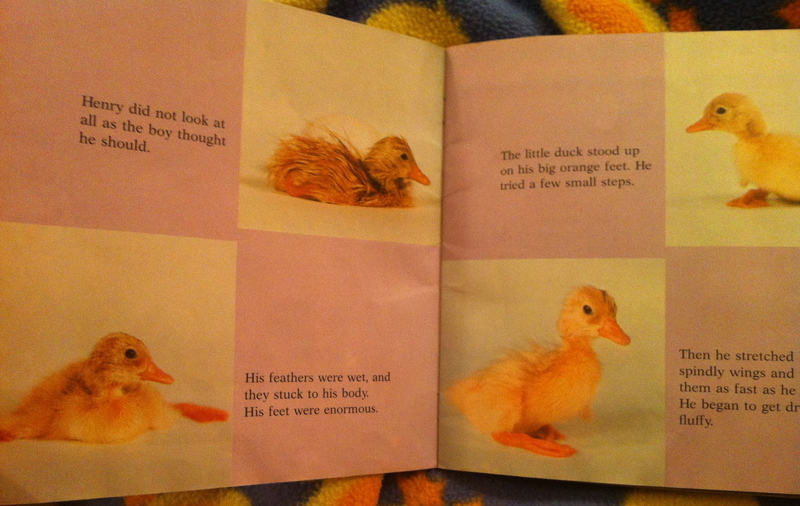 It tells the story of the life of a duck from little egg to adulthood. What stands out in these books is the photography. There are no illustrations, the story is completely told in real life photographs. Sample pages of the baby duck hatching from his egg. 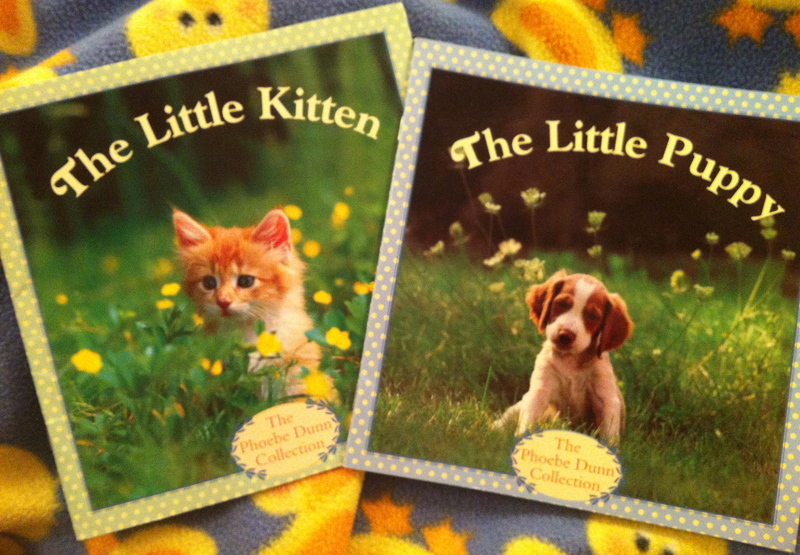 After enjoying The Little Duck for many years I discovered that there was an entire collection of these books. Being the book lover that I am and enjoying the book I already had, I knew I had to have the rest. My local mom-and-pop bookstore were able to order me the rest of the books. I was so excited to get brand new copies as my original book had been a second had copy and was pretty worn. Unfortunately they were not able to acquire for me a copy of The Little Duck. My next best alternative is to try to find a used/like new copy from an internet source. 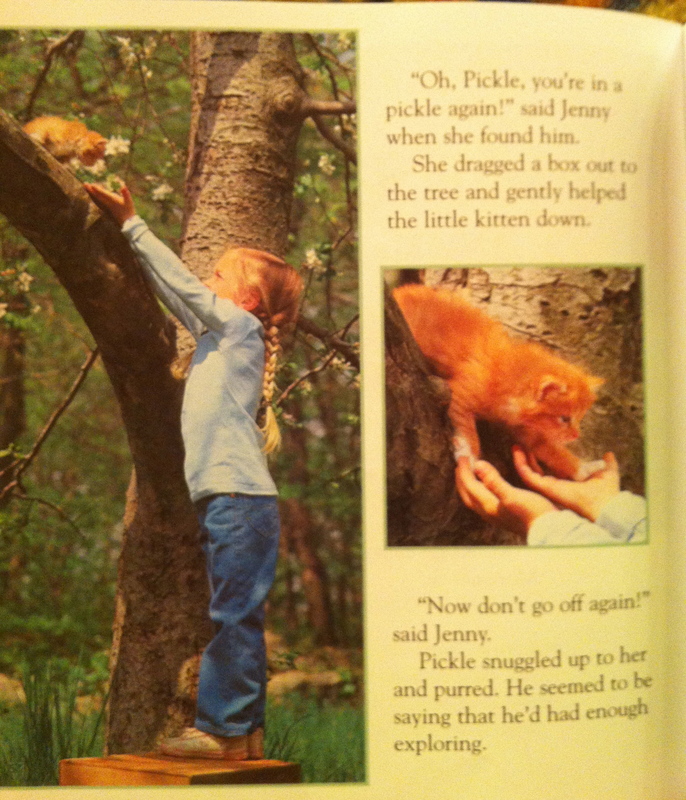 Sample page of The Little Kitten. I am so happy to have these books in my children’s book collection to enjoy with my kids. If you love children’s books as much as I do, I hope you will add these to your collection and enjoy them with a youngster in your life. 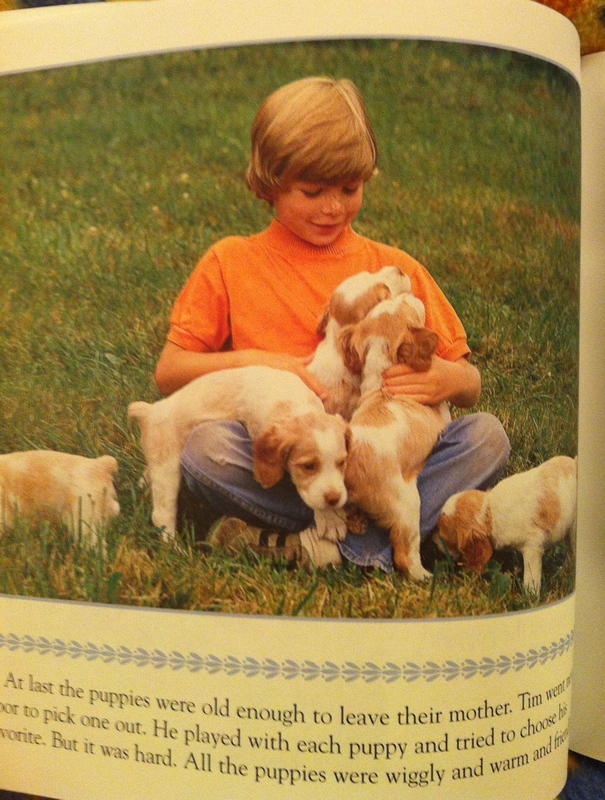 Sample page of The Little Dog. This is a story of love. Love represented in two teddy bears. The happy couple sits lovingly on top of our bed every day. Or as long as it’s a day the bed was made, lol. 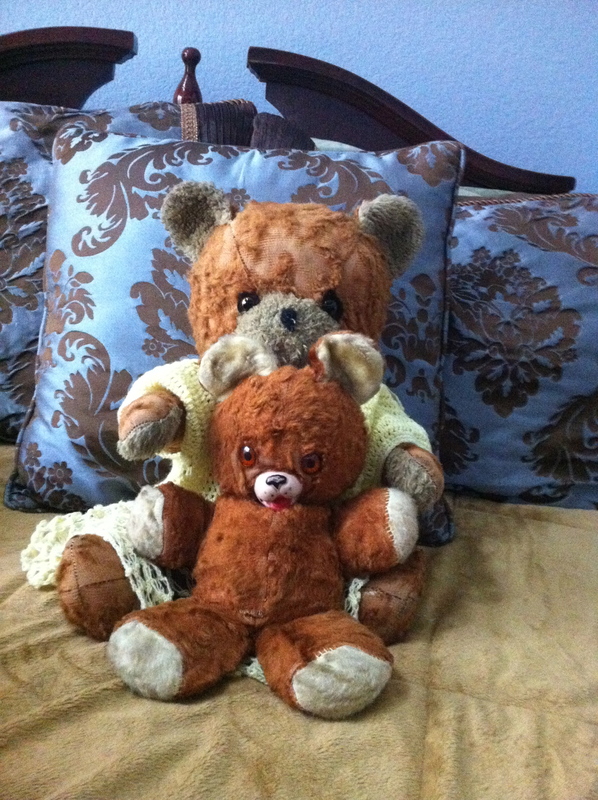 The big teddy is mine and the little teddy is my hubby’s. 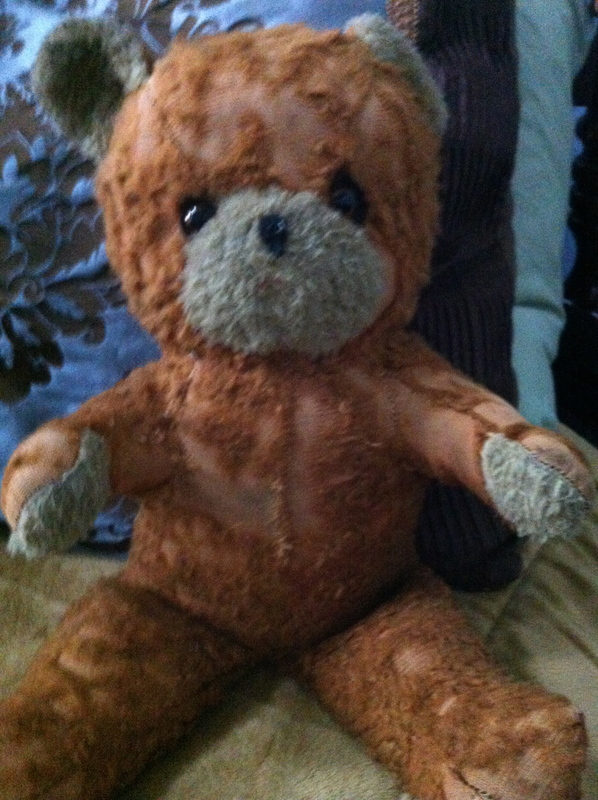 My teddy has been with me since I was a wee little girl. I don’t just love it because it is mine but because of the sentimental value behind it. It was given to me by my grandma and grandpa. My sweet grandma has been gone now for over 21 years. I can’t even believe it’s been that long since it has flown by. When I think of true love I think of two people – my husband and my grandma. They are the two people in the world that without a doubt, have loved me unconditionally. She would be so happy to know how much I cherish my teddy because of her. 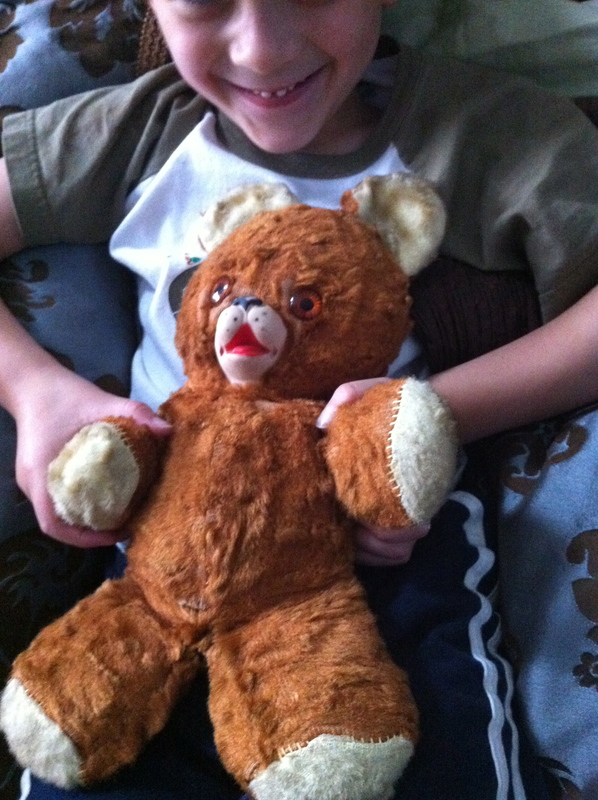 Teddy used to have a wind-up music box. I wish I knew what it sounded like. 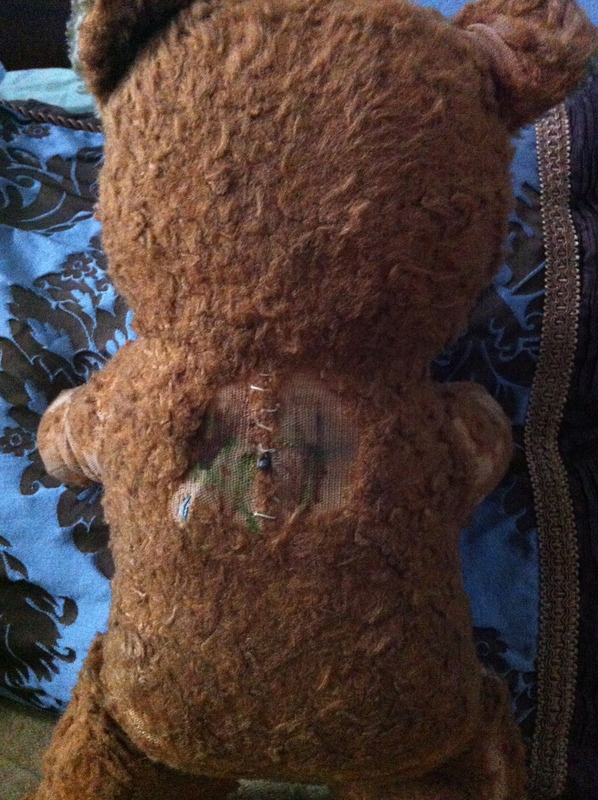 As you can see from the pictures my teddy bear has seen better days. 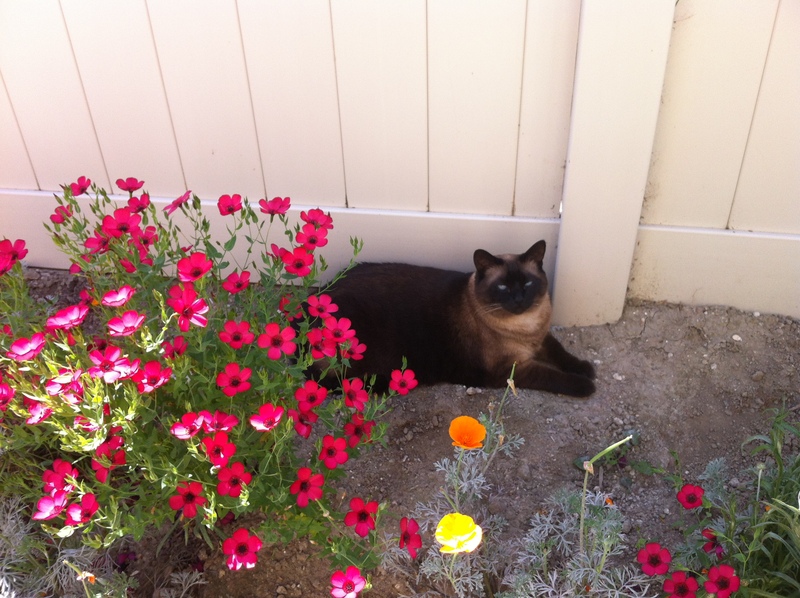 Fur missing in countless places, loose/ripped ears, broken music box and marker scribbled on her. These things would be okay – if they were done by me. But, no, they were done by my little sister. She would want my teddy bear so bad and my mom would give it to her to, well frankly, to shut her up, lol. The sad thing is that not only did my teddy get beaten up but it felt like so did my heart. I think she looks much prettier in her yellow dress. 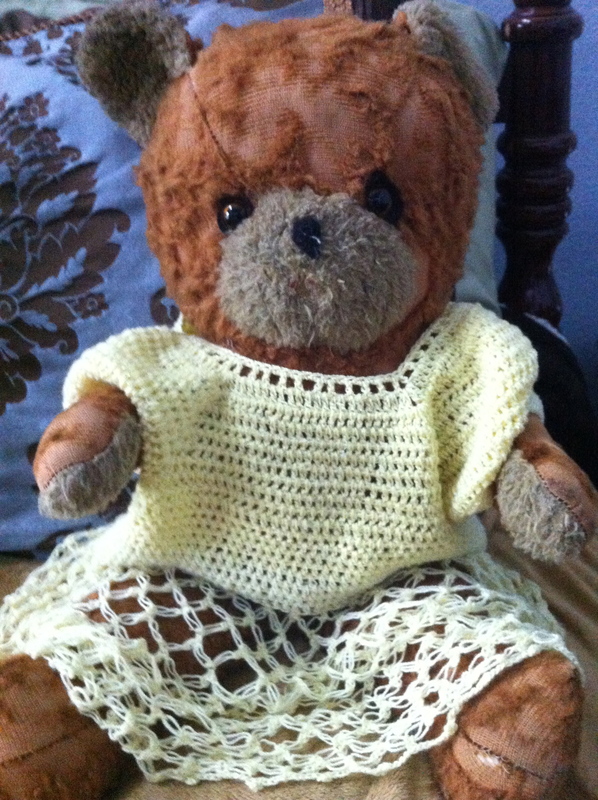 This little dress was made by hand for my 18 y.o. daughter when she was a baby. The sweet lady that made it is now in her 90's and unable to crochet any longer. But her mind is as sharp as a whistle, lol. Moral of my story? Parents, please, think twice before: 1. Giving your older child’s toy(s) to a younger sibling just because that sibling is being loud and demanding. To you it might not be a big deal but it is to said child. AND 2. Giving away, donating your child’s favorite toys because they are just clutter to you or you think your kids don’t want them because they don’t play with them that often. Just because they don’t play with them that much doesn’t mean they don’t mean anything to them. I would encourage parents to decide together with the child and leave the final decision up to them with whom they want to share and whether they want to discard their toy(s). And here is more love to add to my story. My mother-in-law saved just about every toy of my husband’s and his siblings childhood. When she saw I had my teddy and always kept her on our bed, she didn’t hesitate to send me his even though she had kept it all those years. A loving and sweet gesture if you ask me. My little boy with daddy's teddy. 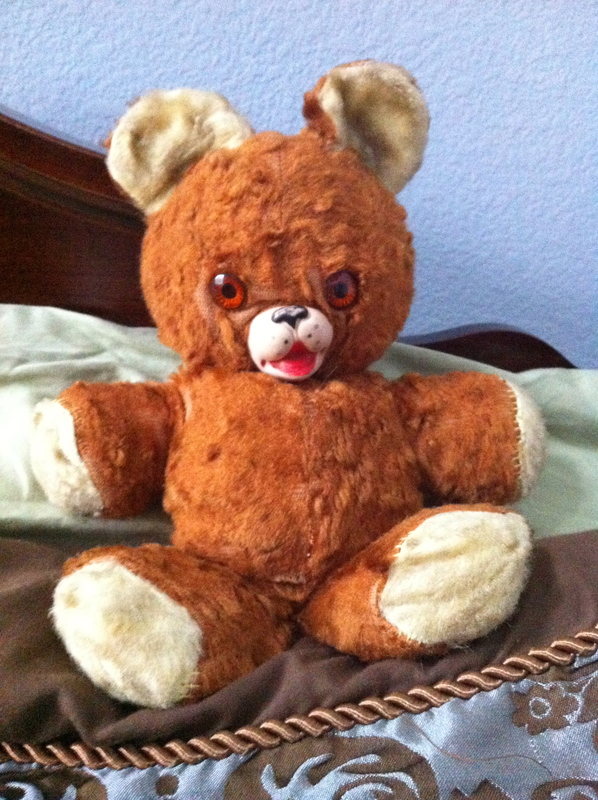 I hope you have a teddy or a favorite childhood toy of your own to enjoy and make you smile. If not, then I hope this post has made you smile today. No I don’t deliver cupcakes, lol. 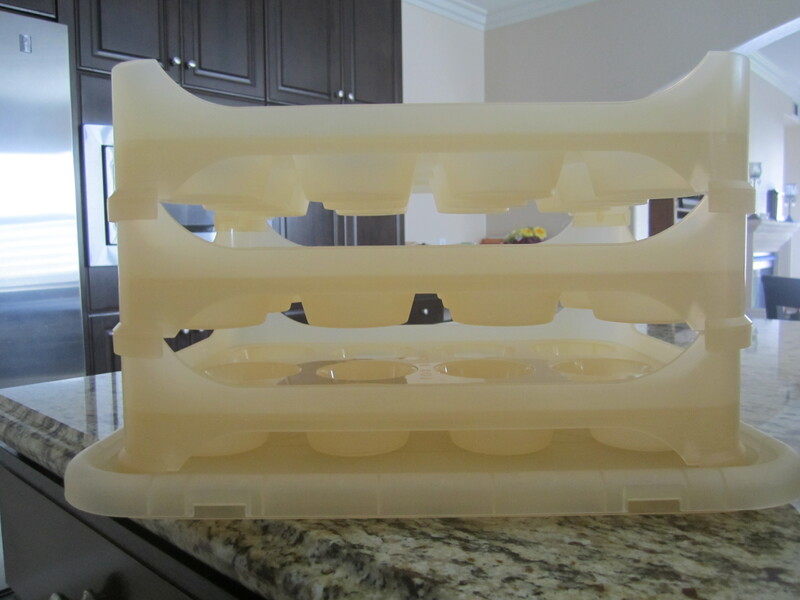 I wanted to share with you about a pretty cool cupcake carrier I recently purchased. When I first saw it I knew I had to have it. What is great about it is just how many cupcakes it holds. Because really, who only takes 12 cupcakes to an event? I’ve seen carriers that hold 24 but I’d never seen one for 36. There is also enough room between each tray that you can carry decorated cupcakes without them getting messed up. 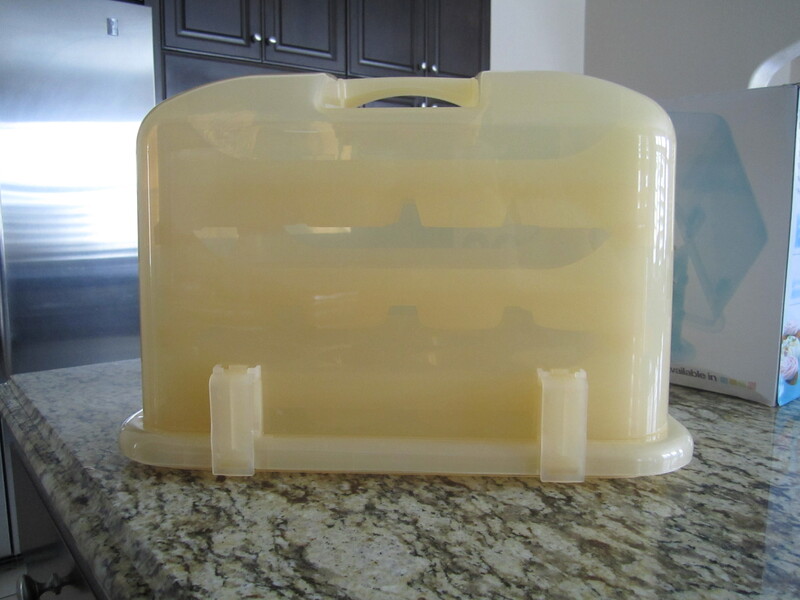 Another nice thing about this holder is that you can remove the trays and carry a tall cake. It easily snaps in place on each side. It comes in a variety of colors, such as blue, green, pink and yellow. Holds three trays of 12 each. 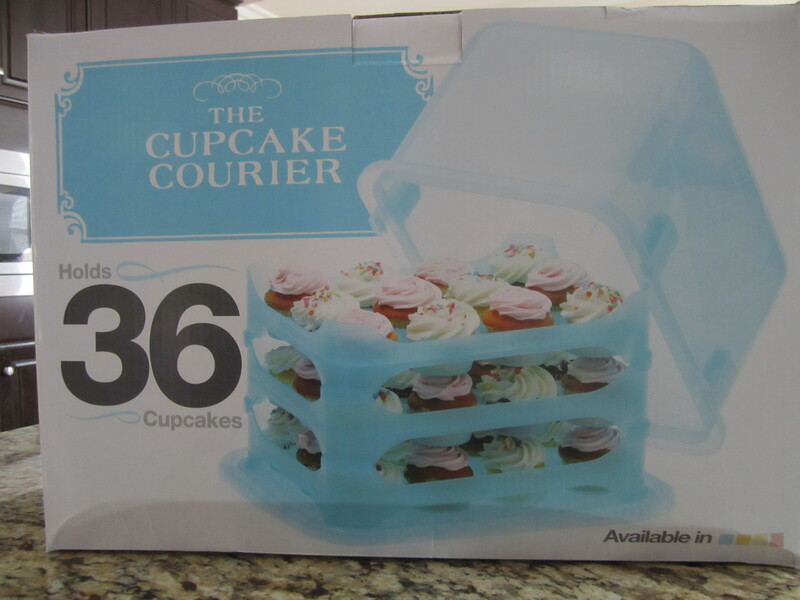 If you would like you can also add ice to the bottom holders and carry 24 cupcakes that need to be kept cool such as those with whipped cream cheese frosting. The carrier was a really affordable price. I ordered mine from amazon. com and got free shipping. It came in a huge box and was well packaged. I can’t wait to have lots of events to be able to use my courier for. 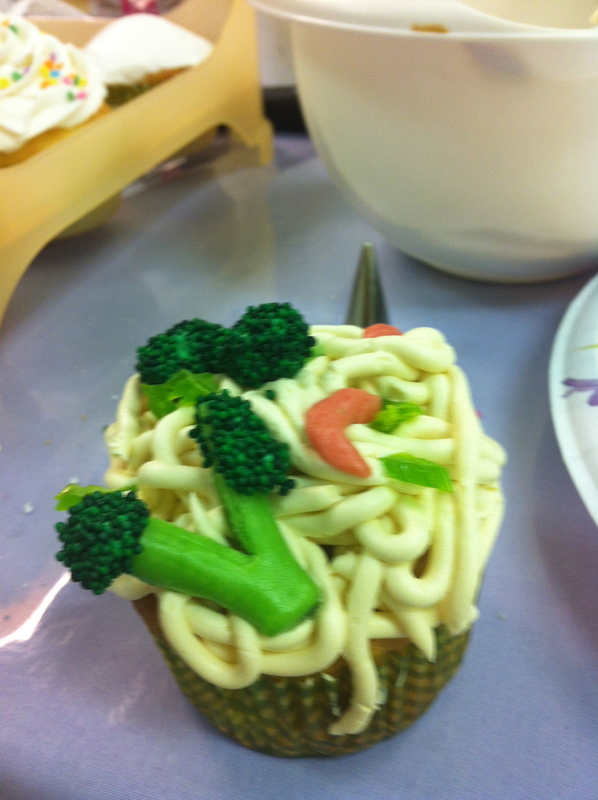 Recently I took a course in decorating cupcakes from a local cake and candy supply. Not only did I have a blast but learned so much in a mere 2-hour class. Everyone who saw my cupcakes thought they were pretty cool and my kids were delighted to eat them. They want me to take more classes, lol! 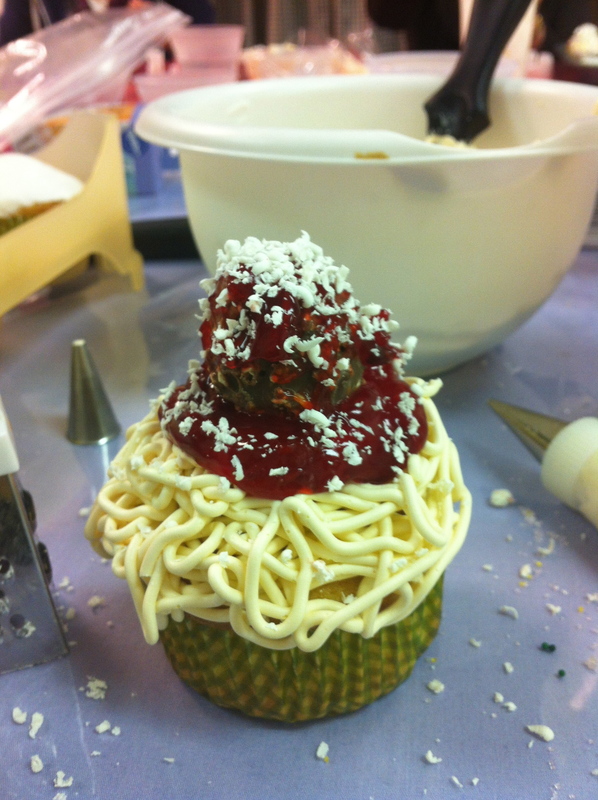 This spaghetti and meatball cupcake was decorated using a #4 tip for the ‘spaghetti’. The ‘sauce’ is a raspberry sauce that they sell at the shop, they also carried a strawberry flavored sauce. 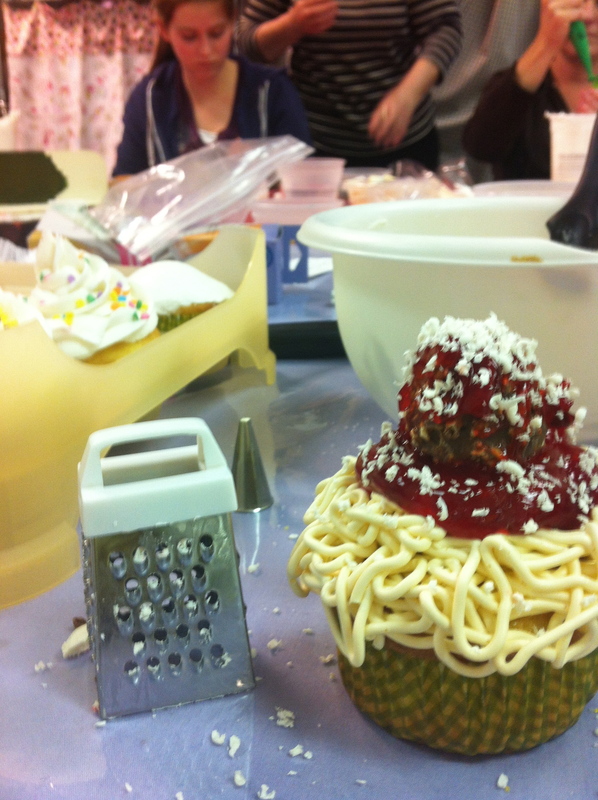 The "meatball" for the spaghetti and meatball cupcake. Isn’t this a great idea for the “meatball”?! Just unwrap and cover with sauce. Mini grater to grate chocolate "cheese". We used this mini grater and a white or cream-colored chocolate disk to grate the “cheese” on top. You can find this little grater, inexpensively, at Bed Bath & Beyond. 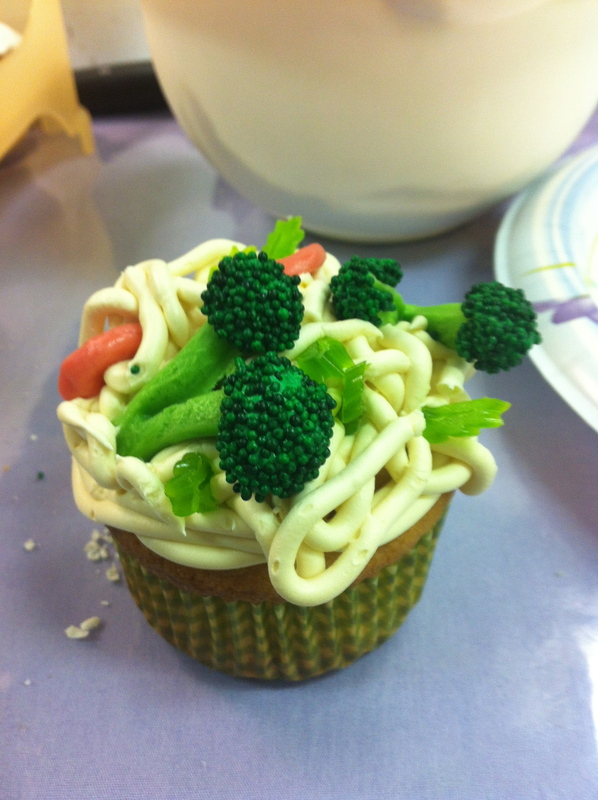 This delightful chinese noodle cupcake was pretty easy to make. The noodles are piped using a bigger holed piping tip, #6. The pink “shrimp” are a Starburst candy piece that I shaped into a “sort-of’ shrimp” shape. Candy needed to make the broccoli. To make the adorable broccoli you simply use the above wrapped candy. Unwrap it and with scissors cut it almost in half lengthwise to create the two-headed broccoli shape. Dab a bit of green frosting at the tips and dip into green “jimmies/nonpareil” like the tiny little balls you can see in the above picture. Can you see the tiny little slices of celery? 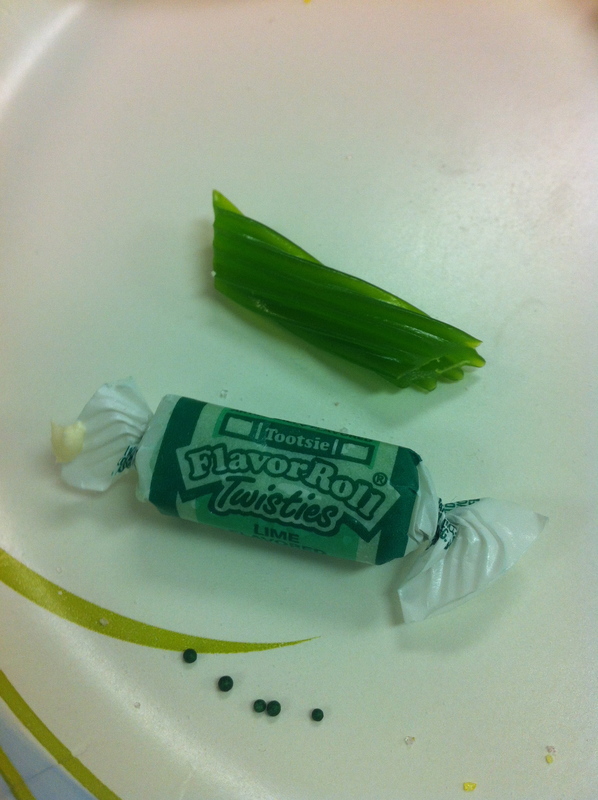 To make the celery, use the green apple licorice like the one in the photo. Simply do a thin slice at a diagonal and voila, you’ve got sliced celery. You can find the green apple flavored licorice at a Henry’s or Sprouts. Winco is also a great place to buy candy inexpensively and they sell it in bulk so you can scoop out just the amount you need. 1. 325 degrees is the best baking temp for cupcakes. 2. 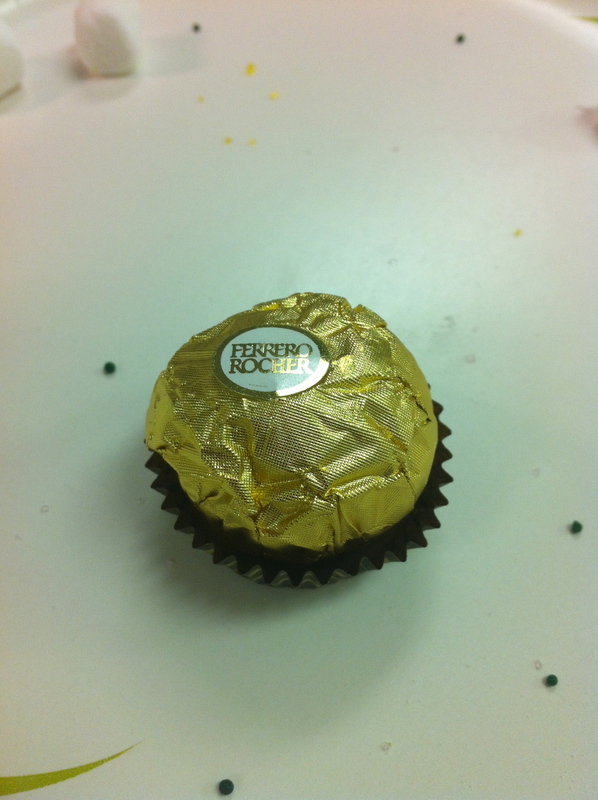 Use a tin pie pan or something similar, with water in it, placed under your cupcakes as they bake. This will help to bake them moist. In an upcoming post I will go over the other cupcakes and show close up pics. 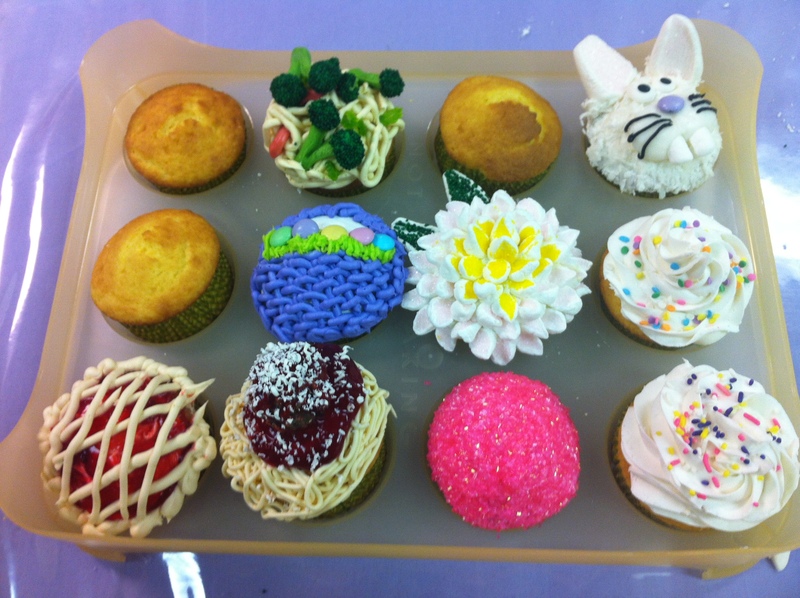 Hope you get inspired to bake up your own cupcake fun! I'm lucky enough to have this view from my kitchen desk window. 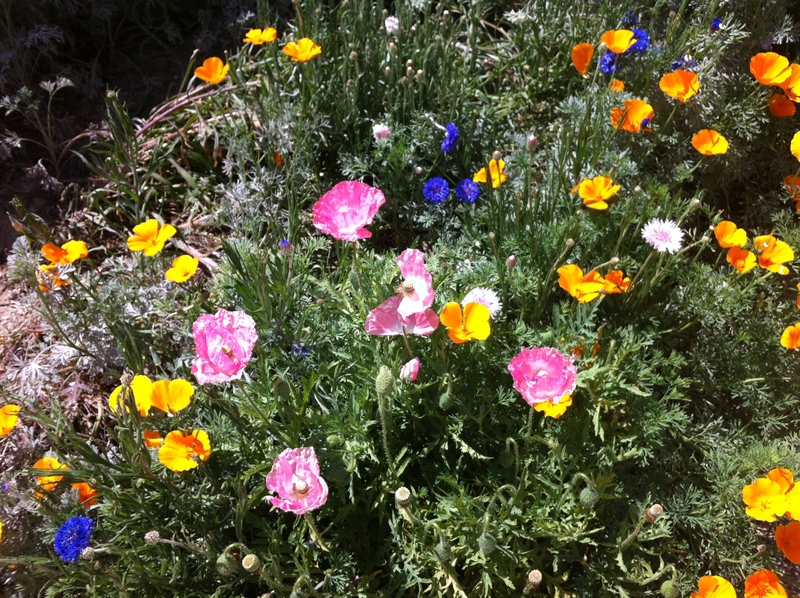 Well thanks to my son my eyes have now been opened to this beautiful part of having a garden. 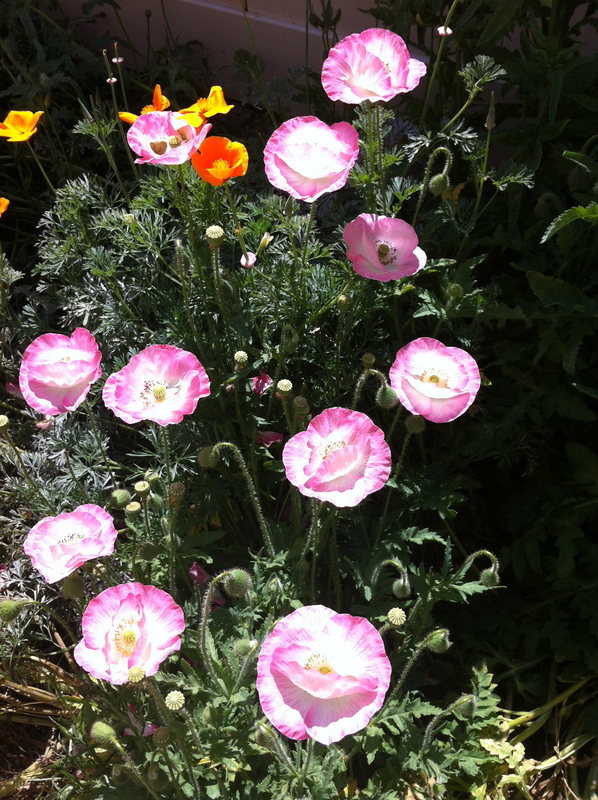 I not only appreciate wildflowers but strongly believe that there is a place for wildflowers in every garden. 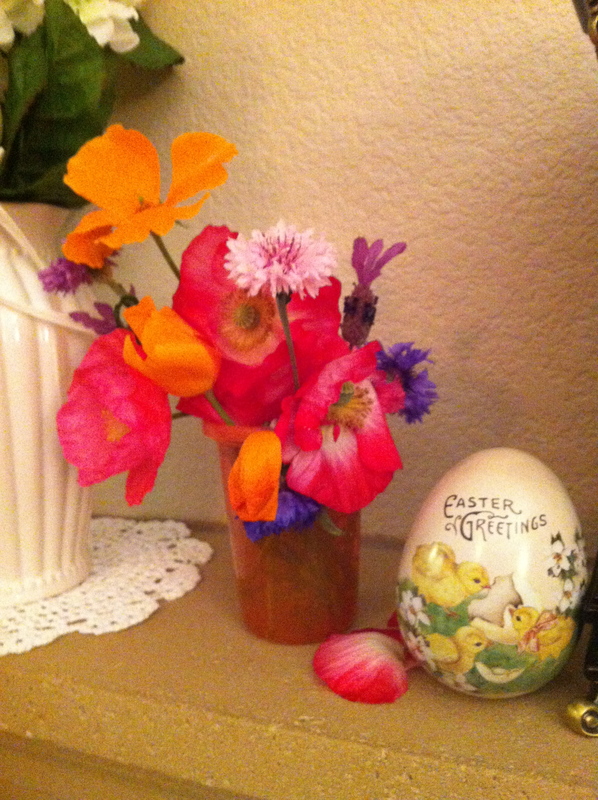 I am so thrilled to be able to go out every couple of days and pick flowers to arrange around my house. And the array of color is just breathtaking. 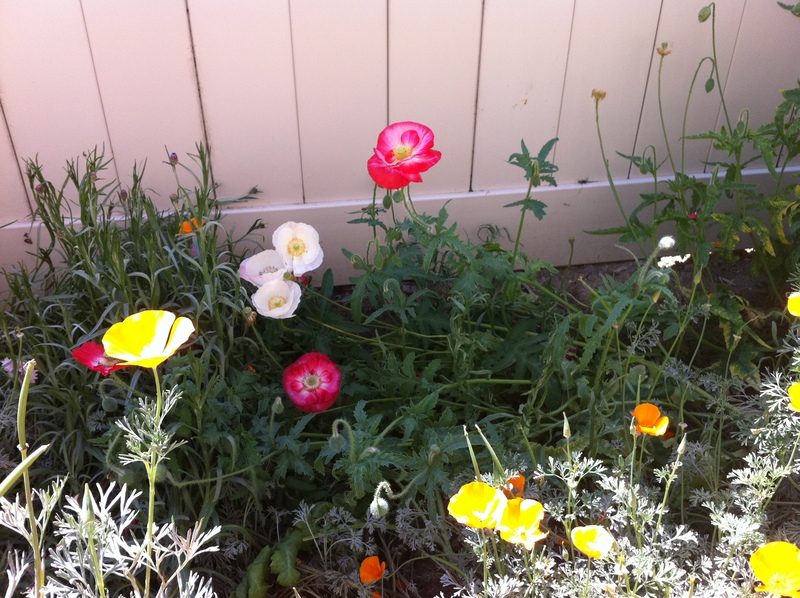 I will now always cherish wildflowers. Not just for the delight they have brought me, but because they are part of my son and his love of God’s handiwork. I love these pretty white ones growing shyly in the back. Our cat thinks it's a beautiful place to relax. It is one of her favorite spots. I love it that I have these pretty flowers to brighten the inside of my home. 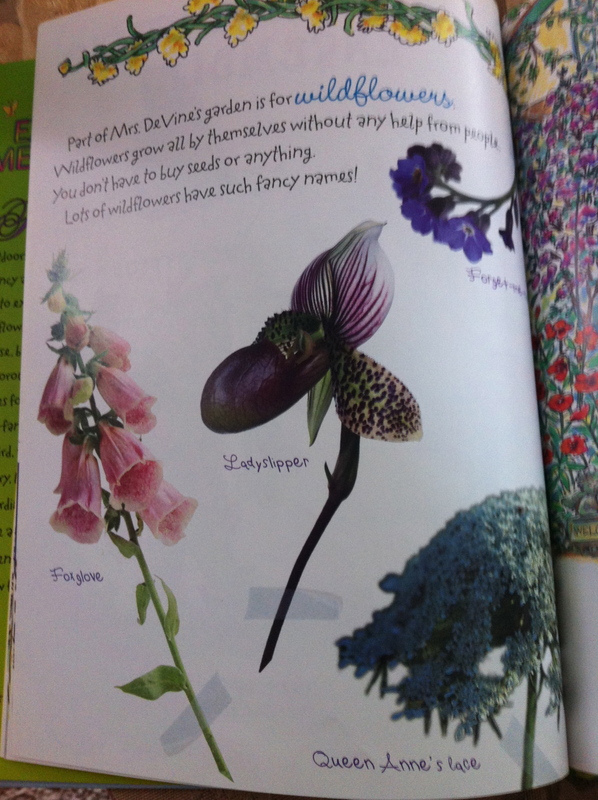 In the children’s book Fancy Nancy “Explorer Extraordinaire” there is a one page introduction to wildflowers – with fancy names! “Oooh-la-la”! 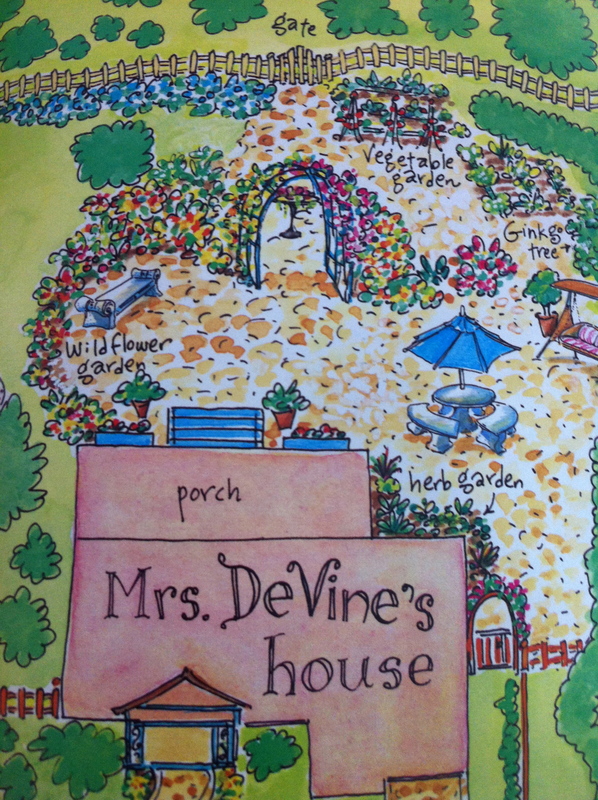 One reason I love the Fancy Nancy books is how the author incorporates real photography and facts in the stories, making the books educational as well as adorable. I LOVE, LOVE pretty dresses. If you do too than you might be interested in signing up for this give-away. Good luck and to me too, lol!